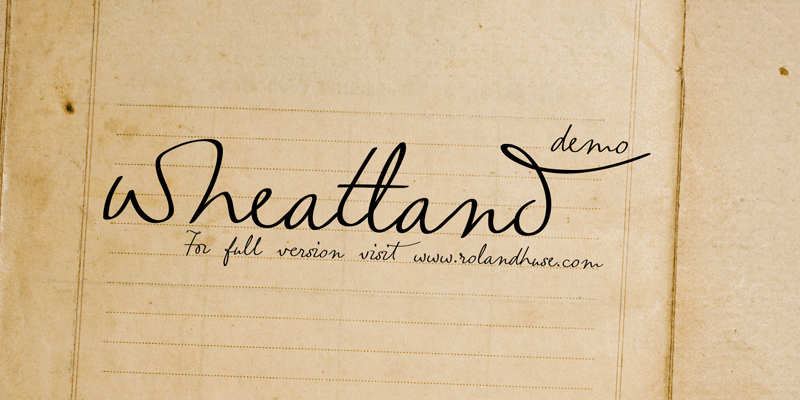 WHEATLAND-DEMO is a demo version of a handwriting interpretation font. Contains only lowercase and their alternates and connecting pairs for testing purposes so you can try if it works for you. Full version is donationware and only available at http://www.rolandhuse.com for a limited time. Please note: ! Works well only with softwares that support open type features / Contextual Alternates and Standard Ligatures are available and active. ! - Or any other question or feedback.